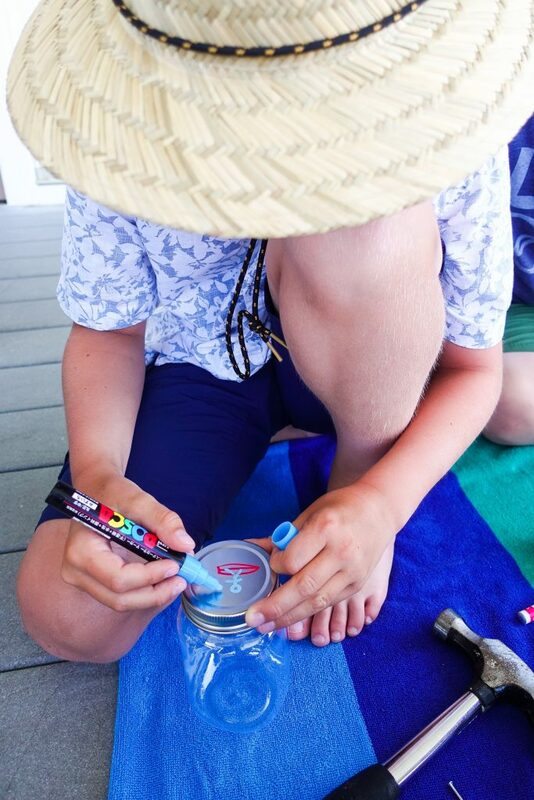 We have 8 kids ranging from ages 3 to 12 in the beach house right now and needed a fun summer afternoon activity to keep all of them entertained. 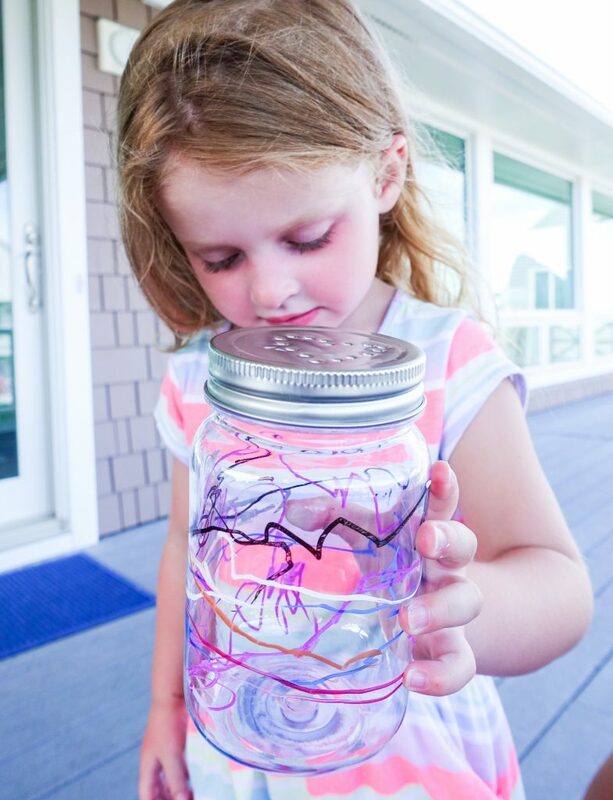 All you need is a few supplies and a few willing kiddos. 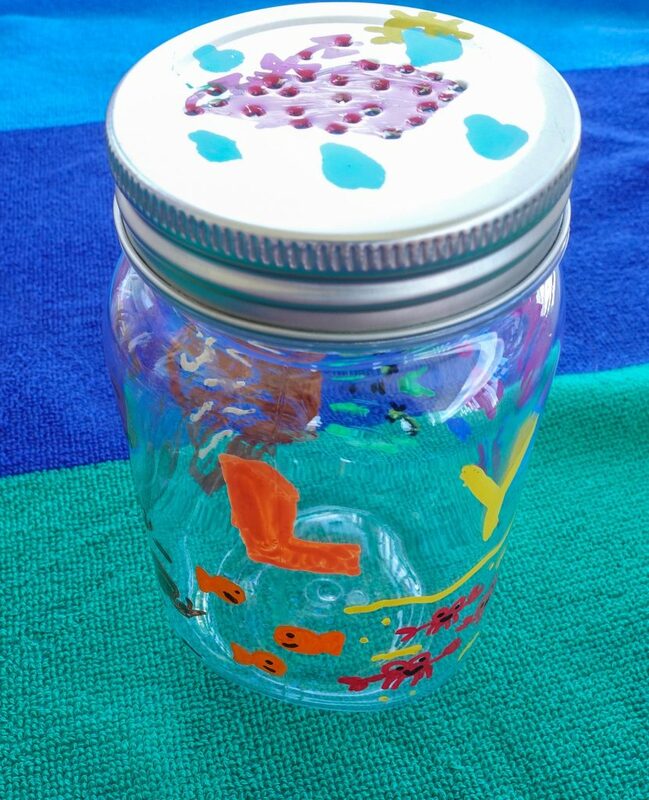 Some wanted to make the jars into firefly jars while others wanted to use them to showcase their beach treasures. 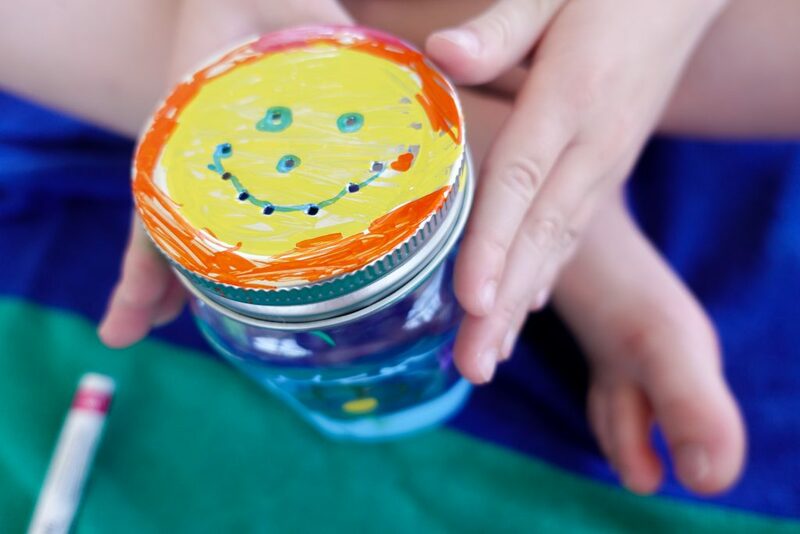 You don’t need to add air holes to the lid if they want to use them as collection jars, but most of them wanted to add the holes regardless. 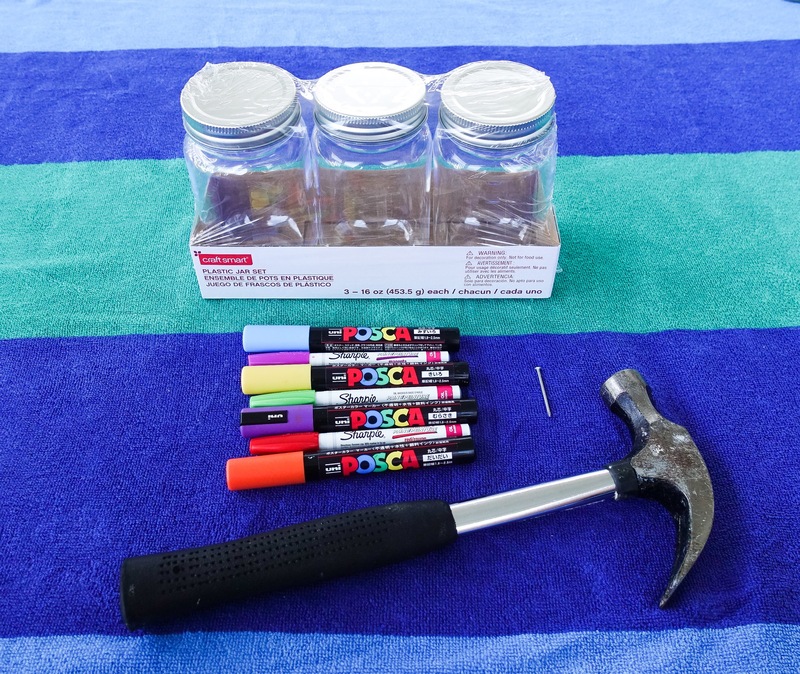 Plastic mason jars – We found these larger plastic mason jars by craft smart at our local Michaels store. They are also available at Michaels.com in a 10 pack of the smaller 4oz jars. This smaller size would be great to use for favors! Cover your workspace with a drop cloth, old towel etc. We spread an old towel out on the porch and had a few small old boxes that we used as little tables for the kids to work on and test out marker colors. We started working on the lids first. Some of the kids wanted specific designs on their lids and others chose a more random pattern. 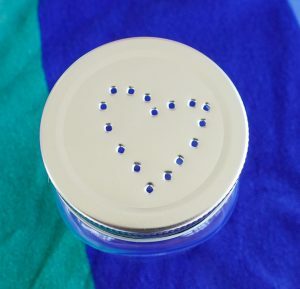 Keep the lid on the jar while adding the pinholes to avoid and tiny nail punctures in your workspace or children hahaha. We asked the younger ones what kind of shapes they would like on their lids and punched it out for them. 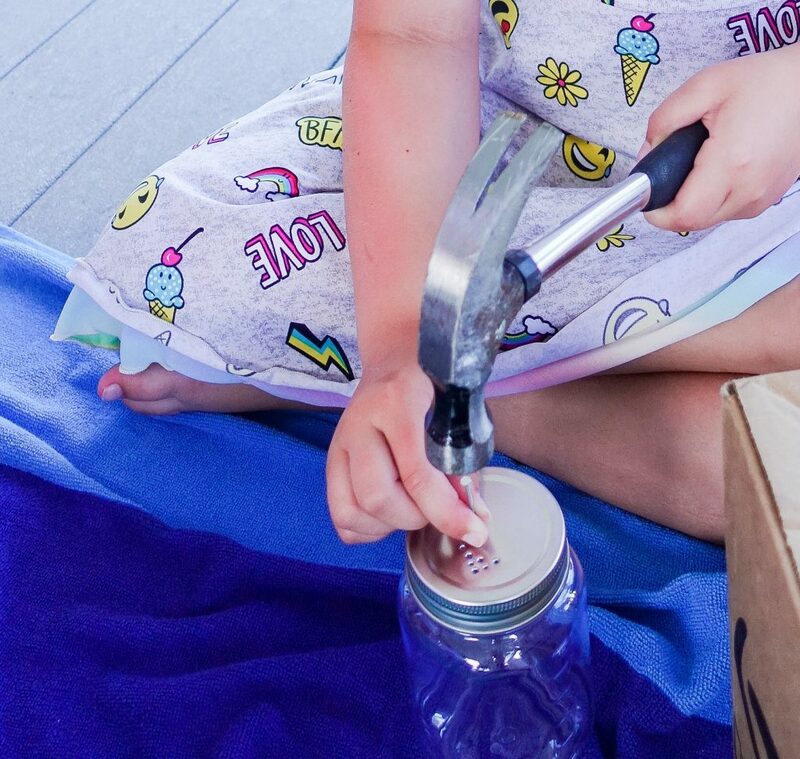 Hold the nail on the lid and give the hammer a little tap to punch a small hole in the lid. 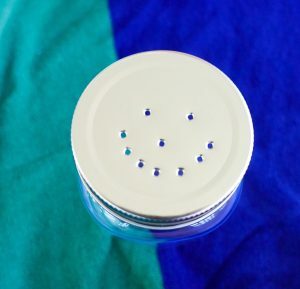 Repeat around the lid in your .. their 😉 desired pattern. They can also draw a design on the top then punch out the holes around their picture. 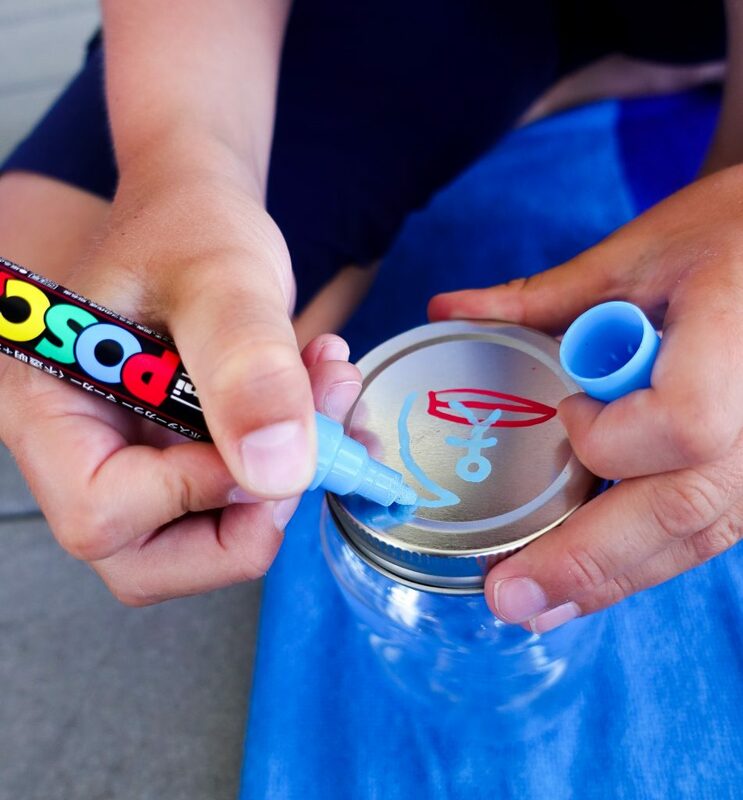 We found that the Posca markers were more forgiving and let you erase any “mistakes” with a damp cloth or paper towel. The Sharpie brand markers were pretty permanent as soon as the paint went down. 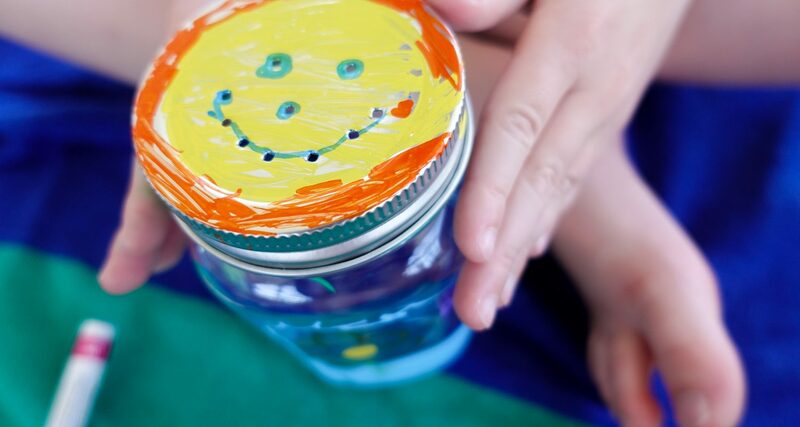 We actually sent representatives back out to Michaels for additional plastic jars because they were having so much fun decorating them and each kid created two different ones. Let the jars sit for a few minutes until the paint pen ink has dried and it’s safe to pick up and show off. 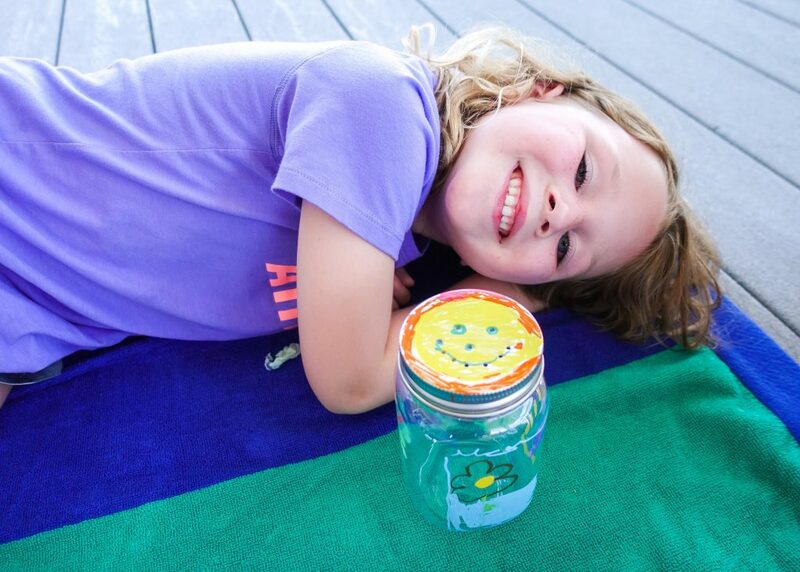 Now they’re ready to hunt some fireflies, rolly polly buys or fill them with their latest beach treasures.